The investigation into the Trump campaign’s links with Russia has already uncovered many layers and levels. More will no doubt be found; but the search would be assisted by a better understanding of just what has gone on in Russia these last twenty years. Hacking may have generated the most lurid headlines, but is just one of many techniques in the arsenal of what Russians call ‘political technology’. And the West needs to take a closer look at itself – the U.S. election was simply the most dramatic example yet of the consequences of the dangerous combination of political technology with ‘disruptive technology’. Ukraine’s prospects are under threat from developments on both sides of the Atlantic. Something is stirring in Ukraine. The most obvious cause is Donald Trump’s imminent inauguration on 20 January, and the widespread fear in Kyiv that his push for some kind of Yalta 2.0 agreement with Russia will be at Ukraine’s expense. But another parallel cause is the fear that the European Union is losing interest in Ukraine. After Dutch voters rejected the EU-Ukraine Association Agreement at a referendum in April 2016 (though many were really voting about the Netherlands and Europe), the price of bringing the Dutch government into line was high. In fact, it took a triple reassurance just to get PM Mark Rutte to take the issue back to parliament for a vote to overturn the referendum result. Those reassurances came in the European Council’s resolution of 15 December, which declares that ‘the Agreement does not confer on Ukraine the status of a candidate country for accession to the Union, nor does it constitute a commitment to confer such status to Ukraine in the future’. Furthermore, it ‘does not contain an obligation for the Union or its Member States to provide collective security guarantees or other military aid or assistance to Ukraine’. And finally, it ‘does not grant to Ukrainian nationals… the right to reside and work freely within the territory of the Member States’. While this resolution does not roll back existing, modest, European commitments to Ukraine, it was interpreted as a major setback in Kyiv. A decade ago, I wrote a book describing the ‘virtual politics’ of Eastern Europe. Many common patterns could be detected in all the post-communists states, but the paradigm was set by Russia, where the Kremlin had managed to create a world of puppets and fakes. Politics was not institutional, but theatrical, and its key principal was narrative control. The Kremlin determines a script, in Russian the dramaturgiia , that all the key players must follow, and whose carefully-staged ‘achievements’ are the basis of Putin’s super-ratings. 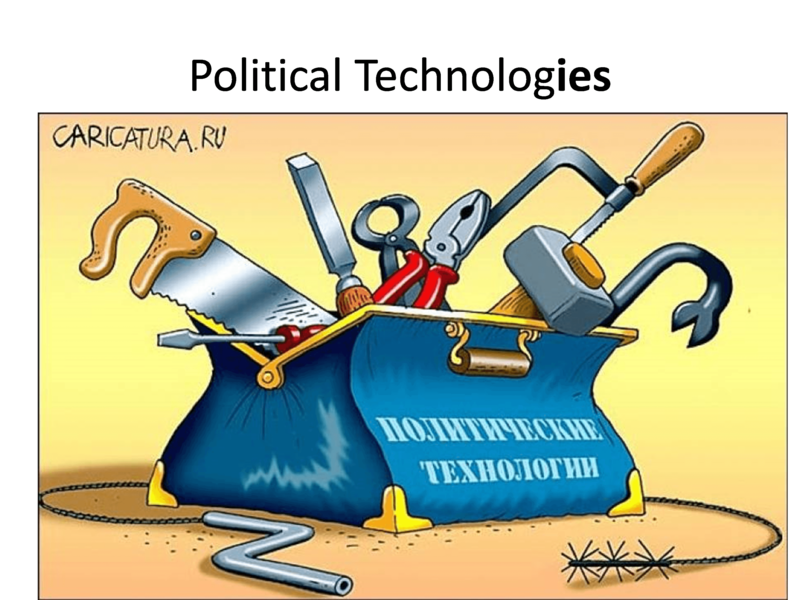 In Russia, so-called ‘political technology’ has developed ever-broader forms since 2005. Peter Pomerantsev has even argued that the system requires ever-higher doses of drama; both the domestic Russian system and Russia’s tendency towards conflict with its neighbours is based on narrative escalation dominance, not on the conventional threat of military escalation. The West has different problems. The key parts of the political system are not fake; although there are some practices that Russians might recognise, like astroturfing (running fake grassroots campaigns, and disguising the real sponsors of political messaging). Russians would also recognise the increasing abuse in US elections of what they would call ‘administrative resources’ – the resurrection of practices that were more common before the landmark Supreme Court judgements of the 1960s, particularly the abuse of redistricting powers by state legislatures and efforts to reduce the registration of minority voters. 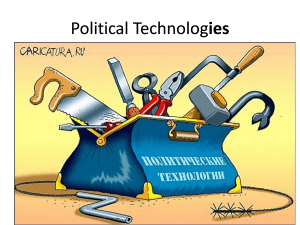 But Russia’s would-be democracy has always been infected by ‘political technology’. In the West, the quality of democracy is under threat from technological and social change. The traditional institutions and formats of politics of the modern era, that predominated until roughly the 1980s, like political parties, broadsheet press and national TV news, are being disrupted by post-modern technologies. Moreover, new paradigms of social identity and new forms of social protest are replacing the agit-prop and door-knocking of party or trade union members with passive-aggressive activism or slacktivism. Virtuality, in the Western sense, is not an entirely fake democratic process, but the cumulative disruptive effect of technological and social changes that are now the tail wagging the democratic dog.